13 years ago Jim Moray released an album that changed the way people perceived, played and presented English folk music. Sweet England arrived at a time when, with just a few notable exceptions, traditional music was performed much as it had been in the 1970s to an audience of insiders and aficionados. The album was received with open arms by those who understood that the music of the people has survived for centuries by being just that – an expression of the times. Absent were the familiar affectations of those who sought to preserve an invented historical aesthetic, Jim Moray was a Bowie and Blur fan singing ballads with all of his influences unfurled. 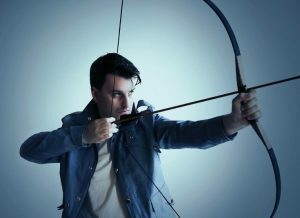 The records that followed (Jim Moray, Low Culture, In Modern History, Skulk) embraced everything from electronica to Johnny Marr-esque guitar rock via symphonic pop, an award winning XTC cover and grime. But at their heart has always been Jim’s unmistakeable soulful and yearning voice; singing old songs in a new way.